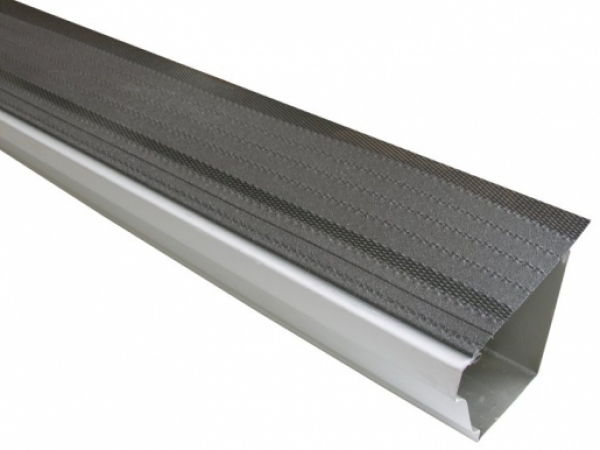 The Gutter Shingle design has combined the solid cover concept with the conventional design of a mesh gutter guard. The low profile seamless gutter design, along with the textured paint, blend the Gutter Shingle in with the roof shingles. 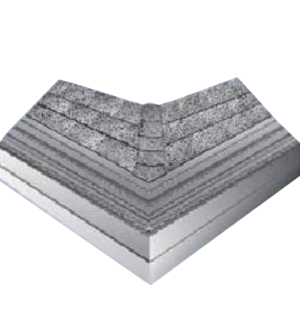 The Gutter Shingle can be installed on any pitch roof and has a notched clip for easy overlapping installations. The Gutter Shingle Gutter Cover design has combined the solid cover concept with the conventional design of a mesh gutter guard. 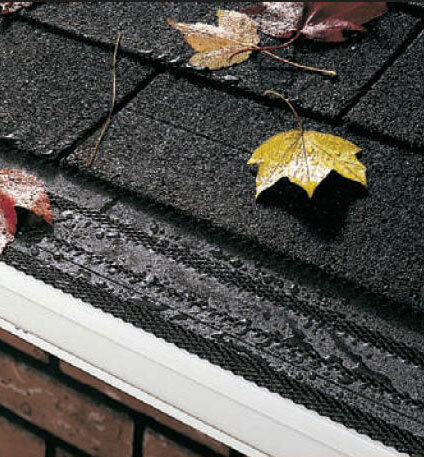 The Gutter Shingle Gutter Cover will keep leaves, pine needles, twigs andother small debris out of the gutter. The low profile design along with the textured paint blend in with the roof shingles. 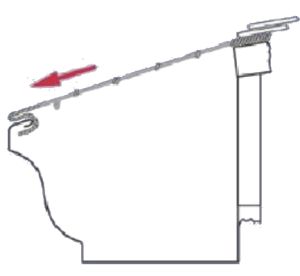 The Gutter Shingle Gutter Cover simply slides under the shingles and hooks to the front edge of the gutter. Description: Solid surface with intermittent rows of expanded mesh .19” x .10” pattern. 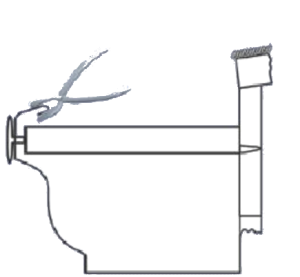 A small section of 1⁄4” mesh gutter guard ( Lock-On or Hinged ) may be required in the gutter where the roof valleys flow into the gutter and where upper roof downspouts flow into lower gutter. 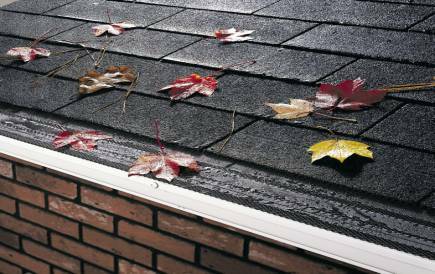 The Gutter Shingle Gutter Cover installation may vary depending on how the gutters are installed. 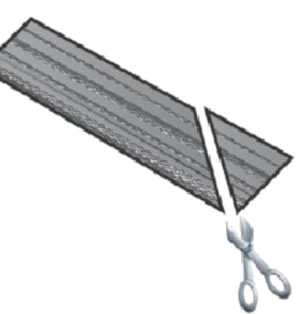 - Tin snips or hacksaw to miter cut corners and cut pieces to length. 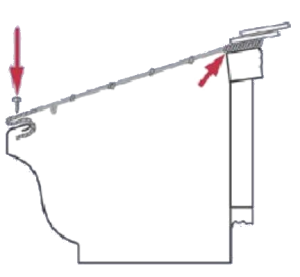 - Pliers may also be needed to bend the lip of the gutter around the gutter spikes. - Power screw driver (Some installations may require fastening to lip of gutter). 1) First, do a good job cleaning the gutters and downspouts. To assure the downspouts are clear of debris, run a hose in the gutters and check the water flow at the bottom of all downspouts. The water should flow out without any backup in the gutter. 2) Starting at one end of the gutter, slightly lift the first row of shingles and slide the back edge of the gutter cover under the shingles, then pull the front edge of The Gutter Shingle Gutter Cover forward so that it clips to the front edge of the gutter. Note: If there is not enough space between the gutter lip and spike, you will need to bend the lip up a little or pinch the lip closed to allow the clip to fit over the lip. 3) If the roof shingles do not cover the back edge of gutter cover by at least one inch, it will be necessary to screw The Gutter Shingle Gutter Cover to the front of the gutter using a sheet metal screw. 4) Install the next section using the same process as step 2. The notched clip will allow each section to overlap creating a seamless run of The Gutter Shingle Gutter Cover. 5) To fit outside corners, miter cut opposite ends of the two adjoining pieces to form a corner point. 6) For inside corners, a small section of 1/4" mesh gutter guard (Lock-On or Hinged) may be required. 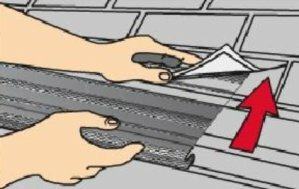 Note: To get an accurate cut, you should mark the cut with The Gutter Shingle Gutter Cover in place on the gutter and roof. This will give the proper angle to miter cut each section.